Beer is a man’s best company; at least that’s what it seems like. Now more than ever the brewery community has expanded. 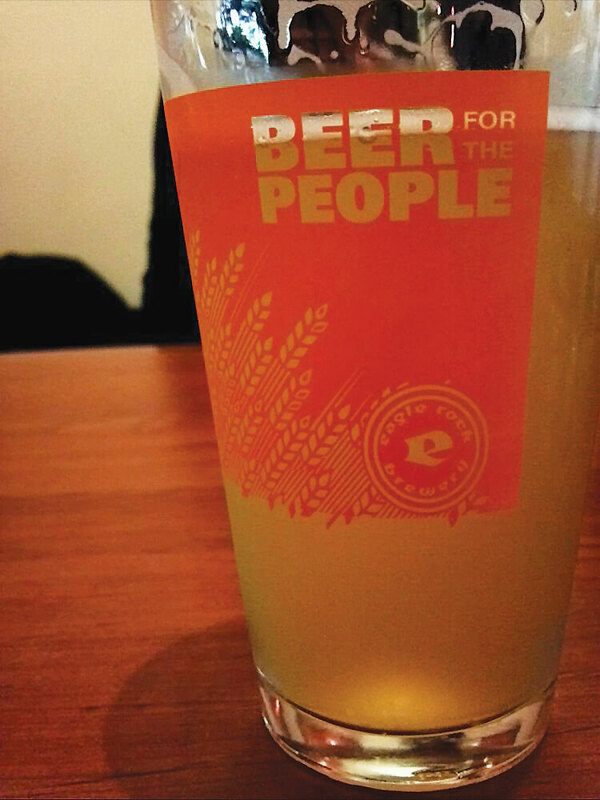 More and more people enjoy the taste of a well-brewed beer rather than a corporate company beer. And with its expansion come the many breweries in every city and every corner. 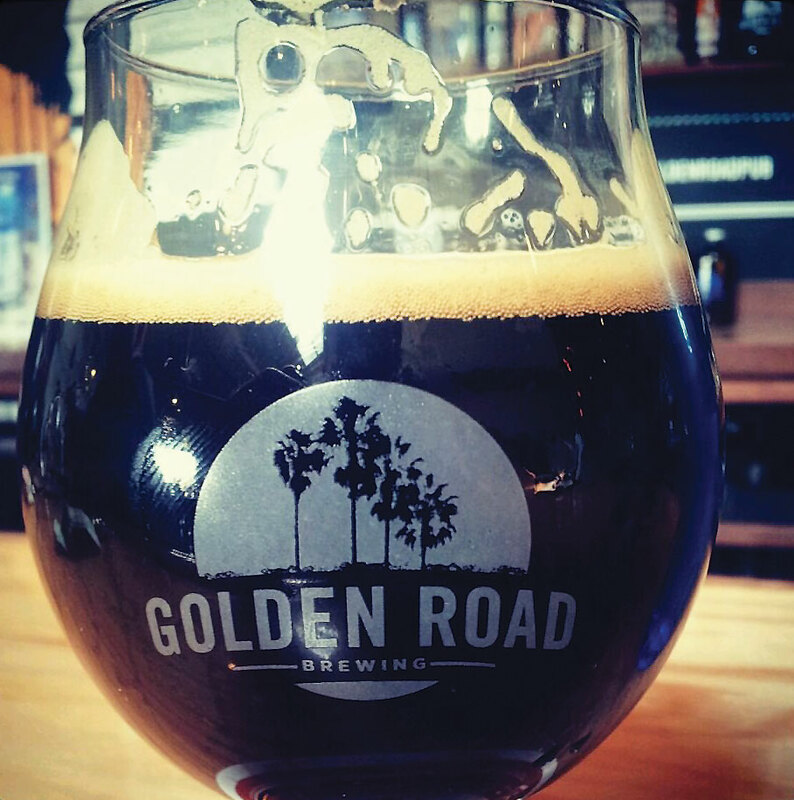 Lucky for you we have put together 10 of the most star rated breweries in the L.A. area. It is one of the few breweries in Los Angeles where it welcomes a family and dog friendly environment. Golden Road Brewing has a large variety of brewed beers as well as an appetizing menu. 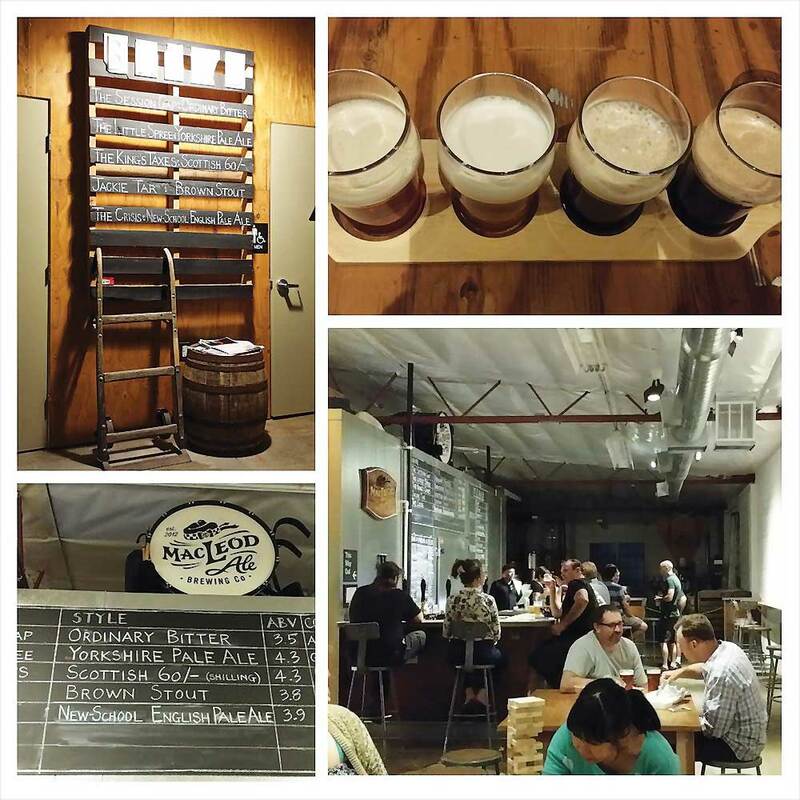 What sets Golden Road apart from other breweries is the great casual and fun environment. There are oversized games of Connect 4, Jenga, etc. and their Aunt Sally court is fun to try after a few brews. They also have a photo booth! Overall GRB is a relaxed and cool brew spot to cash in a few laughs. 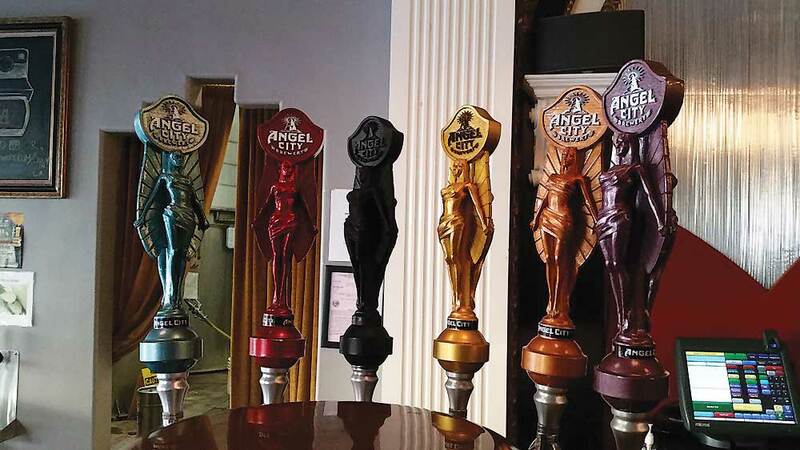 Angel City brewery is located in Los Angeles, offering great IPA beers; this spot is a casual place to drink a cold one with friends. A lively environment along with the dark, industrial décor, the atmosphere makes you feel like you have been transported to a different era. They offer amazing tasty wings, with a variety of food in their menu. Their most popular crafted beer called Social IPA is a must try. If you’re looking for a night on the town, this is definitely the place to be. Located in Los Angeles, the industrial location serves the brewery as a “blink and you miss it” but its well worth it when you find it. Great customer service and welcoming ambiance has all customers coming back for more. Providing great and affordable prices on their beer and food, so be prepared to get a lot for your money. 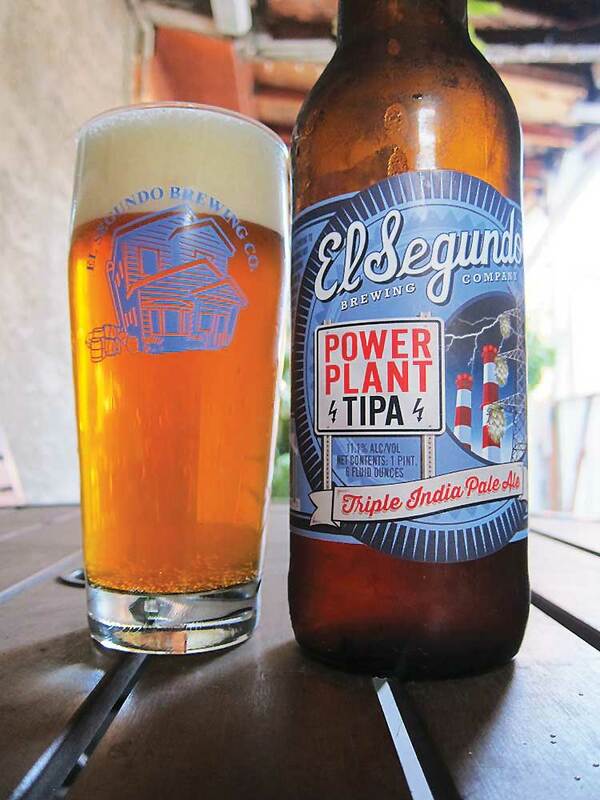 A comedic décor, with many funny posters and staff, this brewery is located in the city if El Segundo. With a list of there own original beers, many customers enjoy their IPA and Pale Ales. Their casual ambiance brings in an older crowd to enjoy a mature stout. 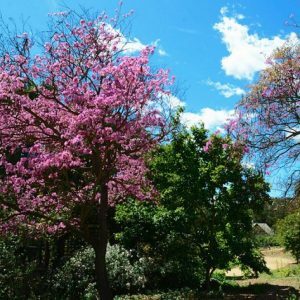 Overall great place to have enjoyable time and make new friends. Located in Van Nuys, for anywhere outside of England, this is cask ale heaven. Genuine English beer is their specialty with typically six cask ales on offer at any one time. You can try the Yorkshire Pale, the (English not American style) IPA, the mild and the stout. All are superb and thoroughly correct recreations of their English ancestors. Although they don’t provide food, you can find a food truck outside, but they provide free peanuts. Great place to feel a tad bit British. 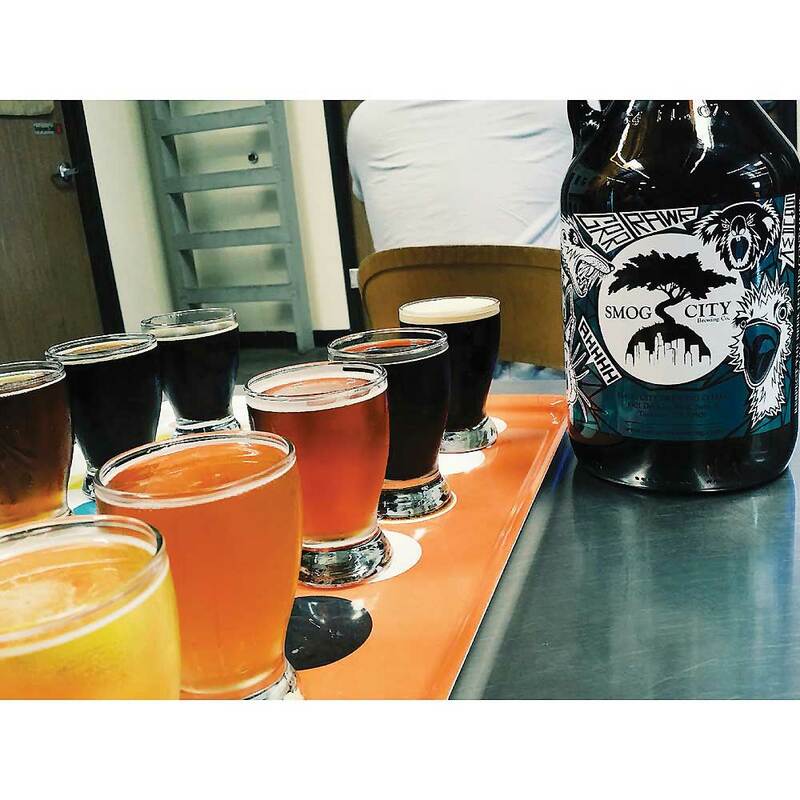 Located in the city of Torrance, Smog City provides a great selection of beers, from light to dark. Getting a flight of beers will help you find the right one for you but overall a very cool place to hang out. With barrels of beer everywhere, it does good for decoration purposes. Although they don’t serve food they give out free snacks that keep everyone from running out the door from hunger. A very popular place around the neighborhood, you will never find it empty. Tucked away in one of those office parks in Torrance. This place has a great setup and enjoyable beer. A brewery that tries to play on a certain theme in their décor, Absolution has actual church pews where you can sit and enjoy your beer. The beers that are must tries are the Holy Cow, Milk Stout and the Possessed Porter. Absolutions is a perfect place to obtain a little beer knowledge from their friendly staff and also a satisfying beer. 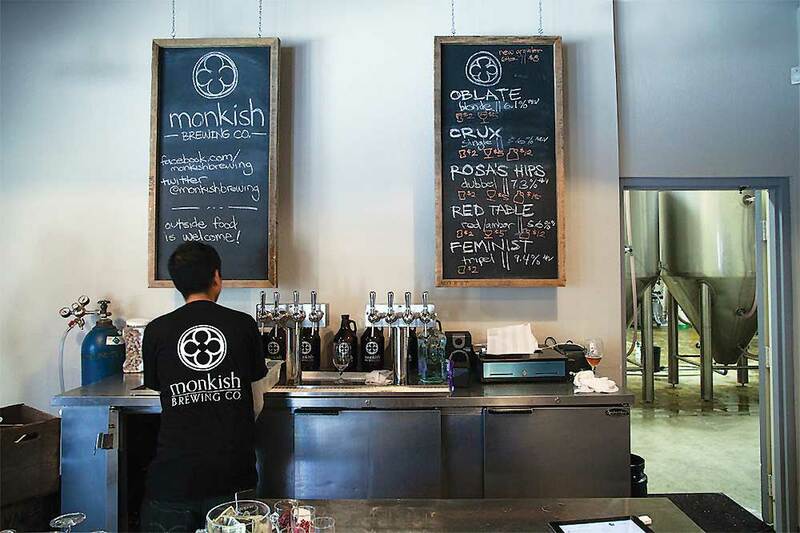 Located in Torrance, this microbrewery has affordable beer, with an expensive taste. All of their beers have a huge complexity of flavor not found in most brewing companies. 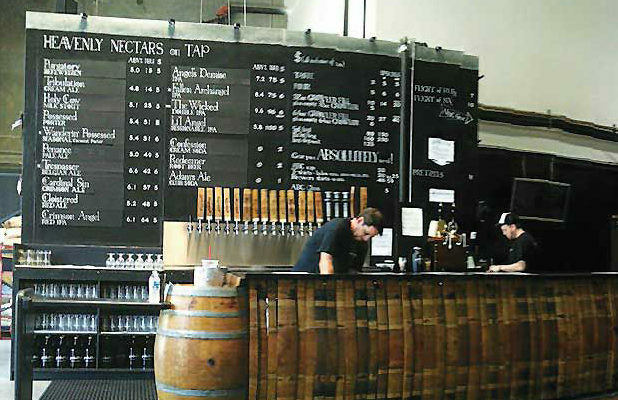 They are one the favorite microbreweries in LA – it is worth the visit. The staff is friendly and they know how to describe their beer almost as if it were wine. 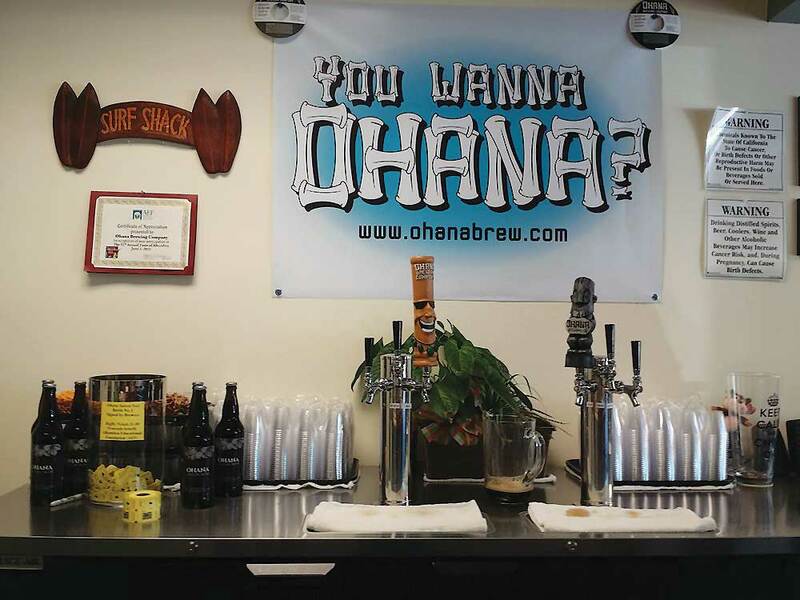 Ohana Brewing Company is a tiny place located in downtown Alhambra, off Main and 7th, behind 38 Degrees. 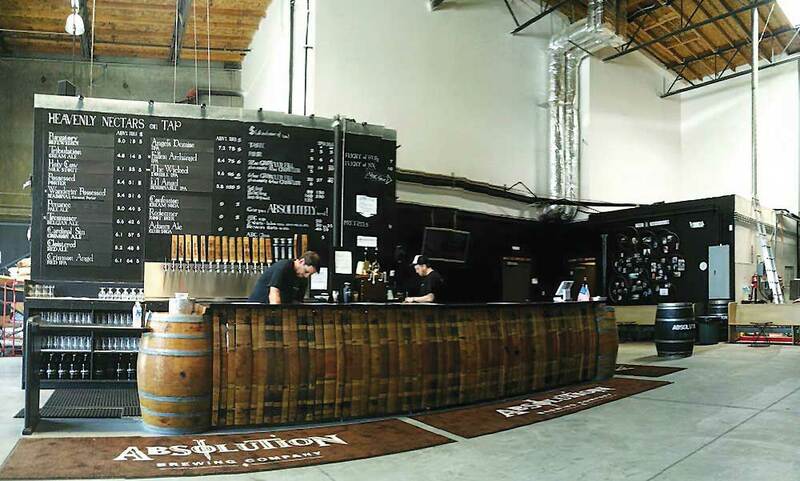 It’s a taproom where you can sample up to 4 beers, and you can buy most beers using a growler. The staff is friendly and they are always willing to strike up a conversation to make you feel welcome, a favorite brewery in the LA area. Their Saisons are among the best of LA. 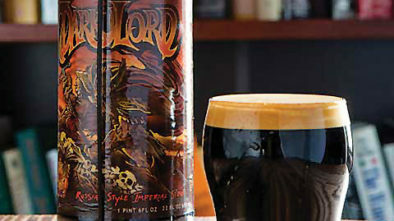 They know how to do IPAs the right way and their stouts have a lot to offer. Great place to taste a variety of original brews. 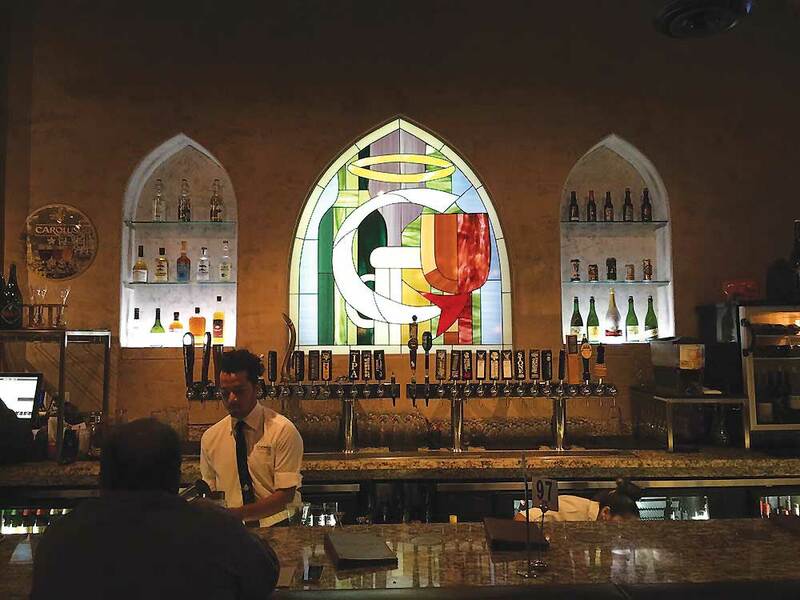 Located in the heart of Pasadena, Congregation Ale House is great for any type of occasion; dates, get together or just a night out with friends. They are greatly known for their happy hour from $2 beers to $2 fries. They have an extensive list of ales and IPAs. Congregation Ale House is a pseudo-church like building, complete with stained glass windows and a bunch of long wooden tables and seats, outside and inside to relax and enjoy one of their beers.